If you're in the market for a new smartphone, you may be surprised to know that you don't have to buy from your carrier to get a deal. Online retailers like Amazon and Wirefly offer a variety of phones that are ready to work with your existing carrier and can save you up to $150. Note that T-Mobile separates the cost of the phone from your monthly service fee, so you'll only find unsubsidized phones on Amazon and Wirefly unless you're renewing your contract under an old T-Mobile plan. You'll also notice that the iPhone isn't on the list. That's because other than limited time promotions, you'll find the same cost whether you buy from Apple or your carrier. Also keep in mind that your old phone may have value. Retailers like Best Buy and Radio Shack have trade-in programs that give you a gift card or cash toward your next purchase right in the store. And, your carrier will likely give you credit toward your next phone as well. Or, you can use a trade-in service to get cash for your old phone and then shop wherever you can get the best deal. To demonstrate how the prices break down, we looked at three popular Android smartphones—the Samsung Galaxy S4, the Samsung Galaxy S3, and the HTC One—at Amazon, Wirefly, and the phone carriers themselves. Note that all pricing below is for the cheapest Individual Plans with new 2-year contracts that include talk, texting and data as of 8/20/2013. The Samsung Galaxy S4 16GB will run you $200 from the major carriers. You can get savings of $50-$100 shopping through Amazon for the AT&T and Sprint versions and save $80 for the Verizon version using Wirefly. Where the popular HTC One is available, you can find some significant savings compared to the carrier price. You'll get up to $100 off on Amazon for an AT&T version and $150 from both Amazon and Wirefly for the Sprint version. 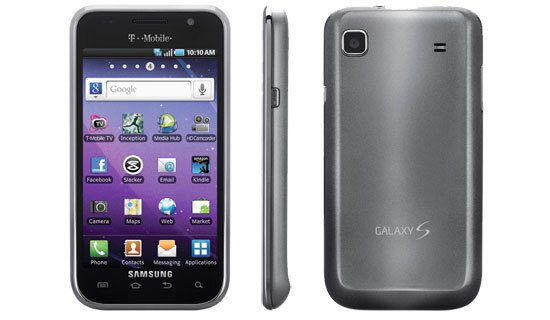 The Samsung Galaxy S3 16GB is not as powerful and fully featured as the S4, but still a great option. If you go through Amazon, you can get the phone for free (or just about free in the case of AT&T). Wirefly provides the best price if you want a T-Mobile version. So shop around: you never know where you might find the best deal. And, it's worth noting that these prices fluctuate—so before you make your final purchase decision be sure that you've checked current prices.